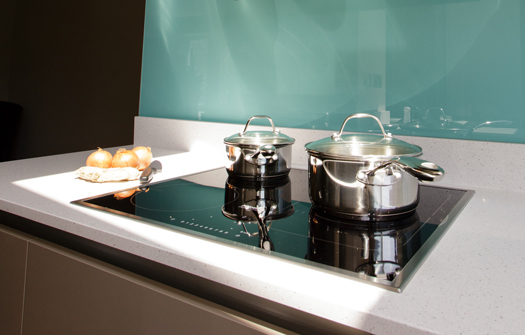 Our modern kitchen collection has been inspired by the simple proportions of contemporary European design. 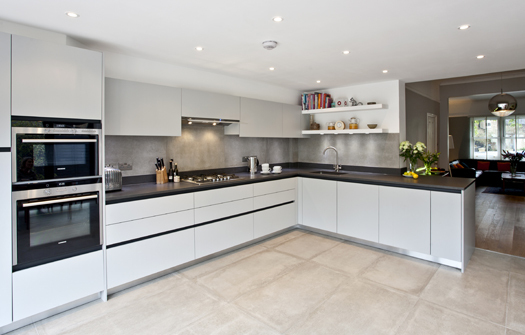 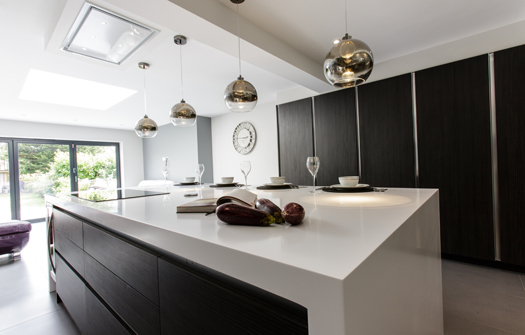 We put the emphasis on both functionality and beauty, creating modern kitchens for your home that are characterised by clean lines and a sleek, unfussy finish. 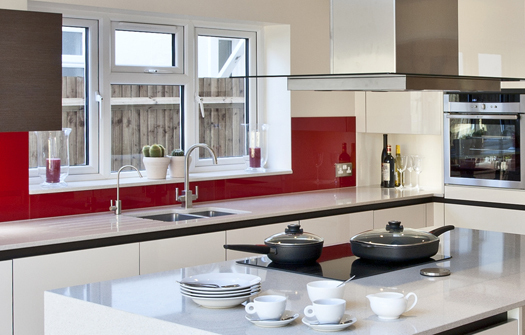 Ergonomically designed to maximise usability and to make the most of the available space, we make sure appliances are seamlessly integrated to give you an organised, easy-to-care for and multi-functional space that will become the heart of your home. 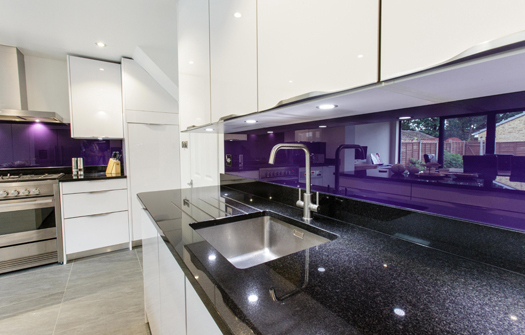 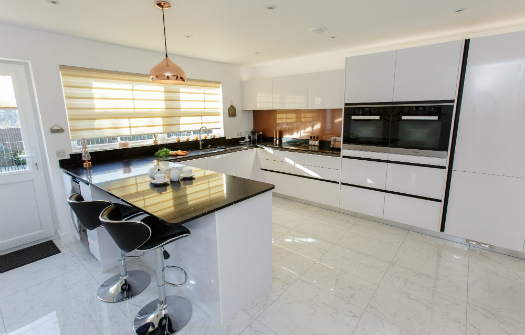 A contemporary style is particularly suited to meeting the needs of those who are less able, with easy-to-use integrated handles and multi-level worktops and appliances. 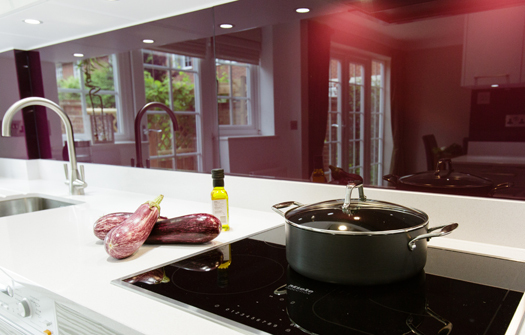 Using glossy, reflective surfaces and a choice of handleless cabinetry, our modern kitchen collection includes design ideas that are ideally suited to smaller rooms, creating a greater sense of space by reflecting light. 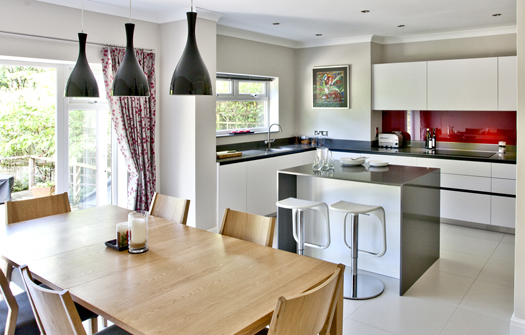 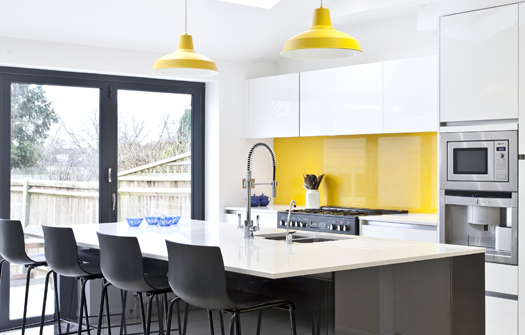 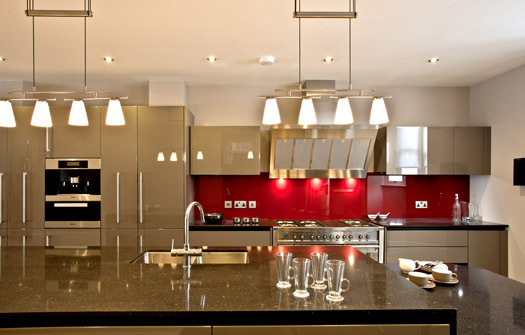 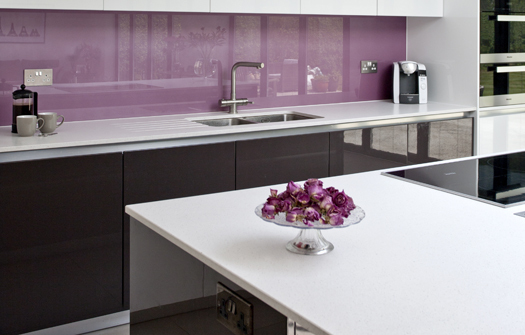 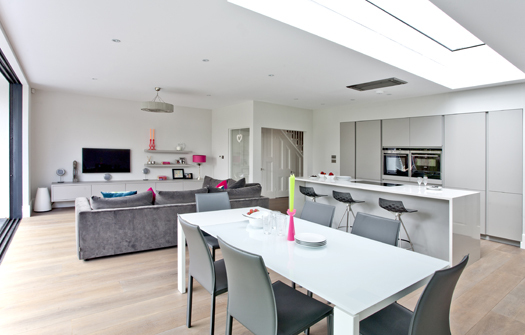 Make a statement with a bold splash-back, contemporary LED lighting or a glass panel feature. 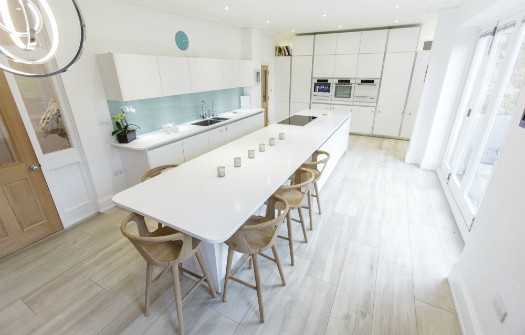 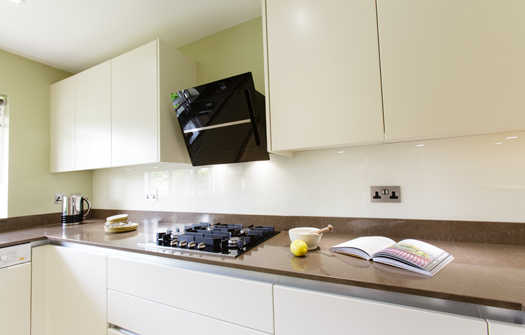 Worktops with the added antibacterial agent, Microban, can provide an additional level of hygiene, and ideal for homes with young children and grandchildren or pets. 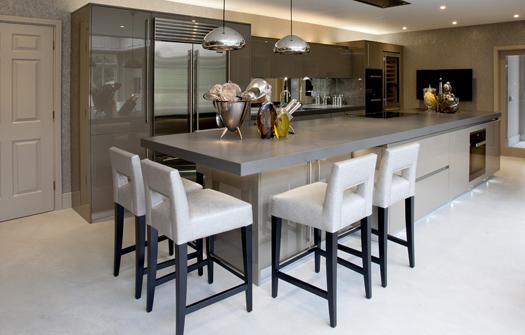 Whether you’re planning an informal coffee morning or a four-course dinner party, a modern kitchen is an inviting and luxurious space to be in.